1890 Culver Hill may just be the conclusion of your home search! The many amenities offered here will appeal to ready home buyers on many levels. 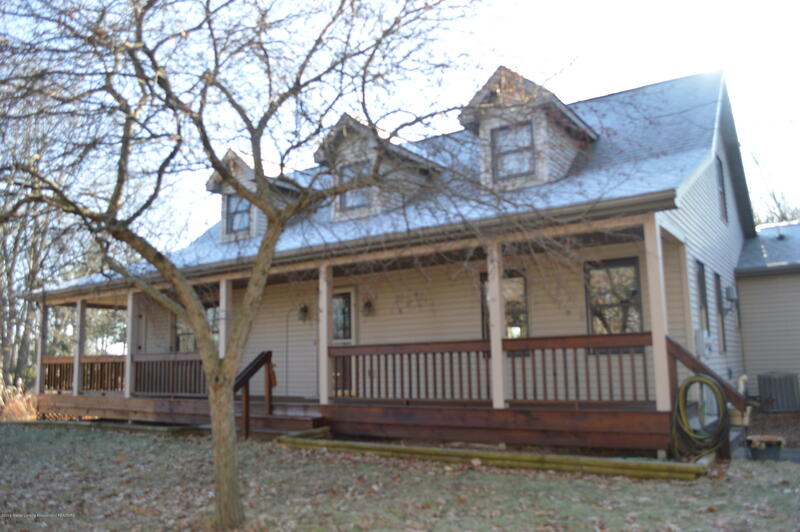 Built in 94, this 2000 square foot, 3 bedroom, 2.5 bath home is set on a beautiful 4 (plus) acre lot. Owners will enjoy nature and privacy yet still have a neighborhood environment. A covered wrap around porch (partially screened) leads to the entry. The foyer opens to the living room that is complimented by sliders leading to the expansive decking, a pellet stove and easy maintenance laminate flooring. The plan flows nicely into the combination kitchen and dining area. Updates to the kitchen include stainless appliances, quartz work areas, a tile back splash, handsome contemporary lighting fixtures and a service bar with stools included.